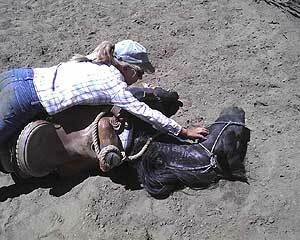 Here are several of the success stories Sheryl has had with horses with unresolved issues causing them to be uncofident and unsafe in various situations. With Sheryl's patient training, easy of these horse have overcome their fears and have become confident in facing various situations. 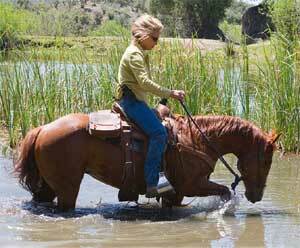 Regardless of what the fear may be, proper training will build a confident and willing horse able to face any challenge. She was very unapproachable and took out some teeth of the Animal Control Officer trying to capture her to remove her from the property. From Animal Control she was taken by Gina Perrin of Heavenly Horse Haven in Anza, California where Gina worked slowly but surely to gain her trust and get close to her and pet her. She spent 90 days at Monty Roberts facility where apprentices were able to set a saddle on her back - but not without a huge response from Teagan - injuring her handler. After 90 days - Teagan came back to Gina's rescue where Gina continued to try and gain her trust by approaching and petting and desensitizing her to touch. We had an abundance of windy days in Garner Valley and I do mean WINDY and on one such day I was riding Whiz into my arena for a workout. As soon as we opened the gate he began to spook in a very big way – I kept disengaging his hips and moving his feet in different directions to get his attention back but he was unraveling emotionally. 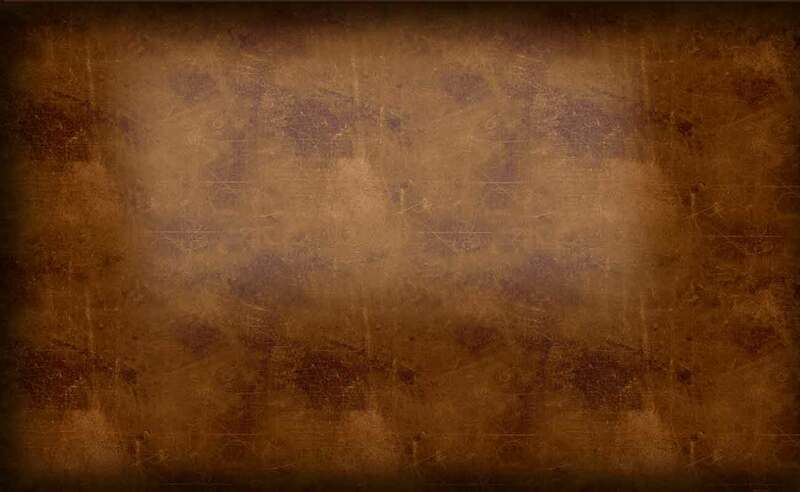 The object of his fear was a tarp that I had slung over my arena fence that was flapping noisily and wildly in the wind. 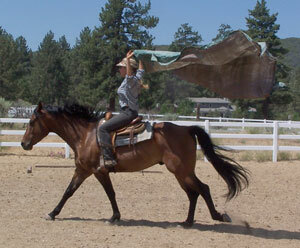 & See Video of Sheryl riding Whiz Bridleless with a tarp in hand!.. Now as you can see by the time stamped below each video - only 15 minutes has elasped and Lucky is much calmer as I fly spray his body and legs. Notice that his hind leg is calked in a relaxed position. This is just an example of getting a start on overcoming fear. Is Lucky over his fear completely forever...? No - I continued to work with him for the next couple of weeks each day after his training session and he continues to overcome more of his fear and build confidence. When he goes home with his owner, his owner will continue to build on this foundation as well until one day - he will be over his fear completely. The fly spray may represent anything that they are fearful of - water, tarps, plastic bags, etc. Everytime I work with a fearful horse, I go over in my head my 3 rules, #1 - I cannot get hurt, #2 - The horse cannot get hurt and #3 - The horse must be calmer at the end of the training session than at the beginning. With these 3 rules in mind, a confident and calm demeanor and patience - you will be the partner your horse deserves. other horses that have had a variety of issues to overcome.